Looking to grab a bargain summer cruise? 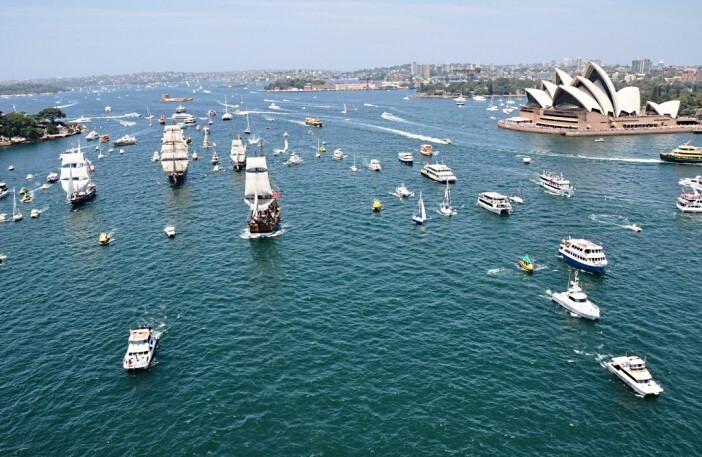 This may be the best time to do just that, as Australia’s annual Cruise Week kicks off ahead of the peak summer cruise season. For one week only, tour operators are offering Australian cruise-goers more savings, deals and offers than any other time of the year – with hundreds of discounted cruise breaks available from a wide range of holiday agents accredited by the Cruise Lines International Association (CLIA), including Cruise1st Australia. Bookable from September 6th to the 13th, the Cruise Week deals are an excellent way for holidaymakers to grab an affordable, last minute cruise holiday package before the rush of the peak summer season, which is tipped to one of the busiest on record for the cruise industry. Cruise Week was launched by Australia’s arm of the CLIA, who last week released a report detailing the latest figures for the upcoming cruise season, which officially runs from 29th September 2015 to 30th April 2016. According to the report, 38 CLIA member cruise ships will operate in Aussie waters during the peak summer season – making over 800 ports calls in Australia between them. Among the cruise ships visiting Australia during the upcoming summer season are 8 vessels new to the region, including Holland America Line’s Noordam, Costa Cruises’ Costa Luminosa, P&O Cruises’ Pacific Aria and Pacific Eden, Princess Cruises’ Golden Princess and Royal Caribbean’s Explorer of the Seas. In 2014, more than one million Australian holidaymakers enjoyed a cruise, with this figure set to rise yet further in 2015. To find out more about Cruise Week, call our customer service team on 1300 857 345.